Do You Know the Best Month to Buy a New Car? If you had to guess, when would you say is the best month to buy a new car? If you said December, you’re not alone. However, according to new data published by TrueCar.com, August reports the lowest average car prices of the year. The study calculated the average price per transaction per month for the past five years. During August, new cars sold for an average of $29,296, while December defied popular belief with the highest average of the year at $31,146. TrueCar.com attributes August’s lower prices to the exchange of older inventory for the new models which often debut around this time. 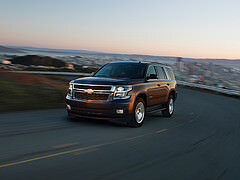 August is the best time to buy a new car, like the 2015 Chevy Tahoe! “This is a great example of the power of data, which shows dealers are clearing out older inventory in August,” said Scott Painter, TrueCar founder and CEO. With only a few days left in August, the only other question we have for you is this: Why aren’t you on your way to Bradshaw Chevrolet Buick GMC Cadillac yet? Bradshaw offers plenty of new 2015 Chevrolet, Buick, GMC and Cadillac cars for Upstate South Carolina buyers! We’ll see you soon! The next-generation successor to the award-winning 2014 Chevrolet Volt will debut at the 2015 North American International Auto Show in Detroit. The 2016 Volt will aim to build on the strong foundation of its predecessor’s technology innovation. The current Volt has received multiple customer satisfaction awards from leading third-parties and was the highest-rated compact car under $55,000. On average, Volt owners drive about 63 percent of their overall miles in electric vehicle mode, which has helped save more than 25 million gallons of gasoline since the car’s debut in 2010. It has also helped Volt owners collectively log more than 500 million gas-free miles. The best part? Volt owners who charge regularly typically drive more than 970 miles between fill-ups, with only the occasionally monthly gas station visit. Get ready for the 2016 Volt reveal at Bradshaw Chevy! Be sure to stay tuned to our blog, website and Facebook page for more information about upcoming cars in the Greenville, Greer and Spartanburg areas! 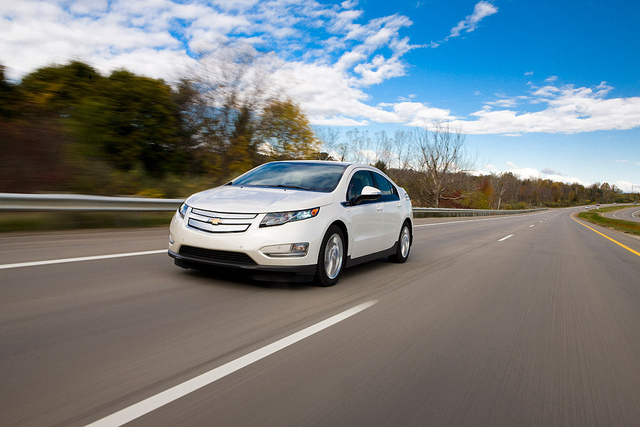 The 2014 Chevrolet Volt has received a 2014 Top Safety Pick+ award by the Insurance Institute for Highway Safety. It is the only vehicle among 12 small cars tested to have earned the recognition, making it one of the safest small cars—whether gas-powered or electric—on the road. To earn a Top Safety Pick+ award, the 2014 Volt scored the highest possible rating of “Good” in multiple IIHS crash tests, including moderate front overlap, side, roof strength, head restraints, and seats. The IIHS recently named the 2014 Chevrolet Volt a Top Safety Pick+. It also scored the 2nd highest possible rating of “Acceptable” in the small overlap front test, the most difficult of any head-on tests performed by either the National Highway Traffic Safety Administration or the IIHS. Learn more at Bradshaw Chevrolet Buick GMC Cadillac! 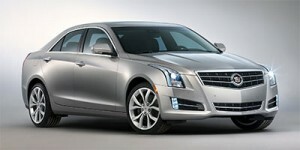 2015 Cadillac ATS Release is Very Soon! Do you remember a few weeks ago when we told you that the 2015 Cadillac ATS would feature an all new revamped steering system featuring ZF Lenksysteme GmbH steering technology? Do you recall your excitement as we explained the new system’s positive effects on the fuel economy for the ATS, or its smooth driving experience and power assist? We’re sure you could not contain your anticipation for too long after we shared the news with you. Heck, neither could we! Which is why we’re all in luck – the 2015 Cadillac ATS is on its way to Bradshaw Chevrolet Buick GMC Cadillac in Greer, South Carolina as we speak! The 2015 Cadillac ATS Sedan is on its way to Bradshaw Automotive right now! While the huge news for the ATS this year is the addition of the 2015 Cadillac ATS Coupe, a sporty new 2-door member of the ATS line, the Sedan also receives its fair share of tweaks and upgrades for 2015, including the aforementioned steering enhancement. Outside, you’ll see a few sleek design changes, while the interior of the ATS maintains the comfort and space you have come to know and love from a Cadillac luxury car. The Sedan is available right now from Bradshaw – contact us to schedule a test drive right now – while the 2015 Cadillac ATS Coupe release will occur later this Summer. Head on over to Bradshaw Automotive in upstate South Carolina to take a look at our whole vehicle lineup today!